Do you find yourself losing control of your emotions in stressful situations? Can you get upset at just about anything? Do find it difficult to make the right choice when your emotions get involved? 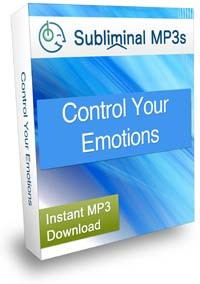 Do you want to take more control of your mind, of your emotions and really take control of your life? If you have a reputation of being out of control of your emotions or someone who is just "too emotional" about things then our subliminal messaging album can help you. Sometimes just making a promise to yourself that you're going to control your emotional outbursts the next time you're in a chaotic situation just doesn't work well. That's why you need a little extra help. The messages on this album can't be heard the way you normally hear things with your physical ears, but your subconscious can hear everything 24 hours a day. That's why listening to subliminal messages works so well. Your subconscious never gets tired or annoyed. It just soaks everything up like a sponge. Because they penetrate right into your subconscious mind, the short simple messages get right to the point of the problem which in this case is helping you to control your emotions. All you have to do is make listening a daily priority. How quickly will you see results? Well everyone is different but figure within a few days you should begin to notice change. How much change depends on how much you’re willing to act on the new positive urges to make better choices. Subliminal messages can only take you so far. You’ve got to be willing and ready to go all the way, but if you really do want to change then subliminal messages can help you to take control of your emotions once and for all. Remains calm instead of allowing your emotions to get the best of you. You will take control of your anger, of your emotions high and low and you will enjoy more positive interactions with all of your family and friends. Becomes emotionally stronger and uses that strength to think clearly before reacting to a particular situation or person. This allows you to experience how good it feels to make decisions based on clear facts and not emotions. Makes better choices. during times of stress and you will virtually eliminate the constant need to apologize for losing control. You’ll feel a lot happier and more content in your everyday life knowing you are an asset to others because you approach things from a better perspective. 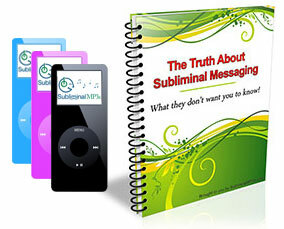 If you can listen to these powerful subliminal messages everyday, starting today, you could change almost every area of your life and have a lot more positive and fun experiences. The long term effects of listening to our subliminal messages will allow you to approach situations in a much different way. Controlling your emotions will become something you don’t have to think about because it will become more natural for you. Download this album to gain control of your emotions under all circumstances and in all situations and your life will be calmer and happier for it!